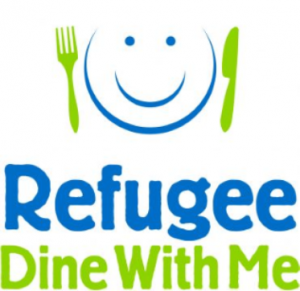 Our Lady of the Valley Parish piloted Refugee Dine With Me some two years ago as a simple response to the world refugee crisis and Pope Frances’s plea to the world to “Welcome the stranger”.This is something simple that anyone can do – invite a refugee family for a meal. It has now been taken up by other Parishes and indeed schools in the Salford Diocese. We are now bringing the idea back to our Parish. As well as the small number of refugees and asylum seekers living in our Parish who come to the Clitheroe English Club classes to learn English, we have teamed up with New Neighbours in Burnley, a charity run by volunteers and the refugees themselves, which supports refugees and asylum seekers, and which is based in St. John the Baptist RC Church Hall. They will help identify guests interested in taking part. If you are interested in participating, please take the leaflet and fill in the form, copies of which are at the back of Church, or download it from the OLOV website. If you have any queries on how it works, contact Tom Clay on 07962136749. As individuals, we can do so little, but we can at least make people who have been through so much feel welcome to our country, and what better way to do this than invite them to our homes for a meal!